The Meditation includes an in-depth explanation of the Soul Whispers Cards Reading mentioned below, with all cards being drawn to help us align with the energies and teachings of this latest March Equinox. 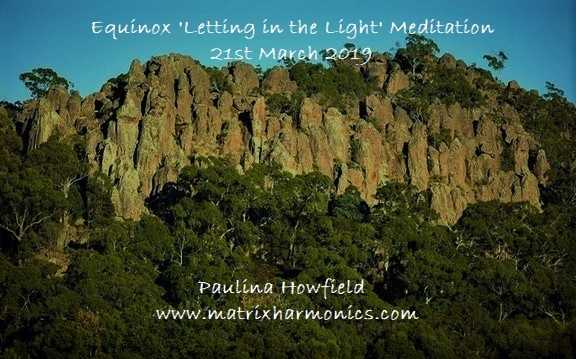 1) What is our collective Soul focus for this Equinox? This entry was posted in Blog and tagged activations and alignments in the earth, celestial energies and influences at equinox, clairvoyant readings, collective soul focus, earth meditations, march equinox, meditating using light, meditations to let in the light, meditations with Paulina Howfield, reclaim cosmic memory at the March Equinox, shamanic journey meditations, soul readings, soul whispers cards, using the Soul Whispers Cards. Bookmark the permalink.